Fiserv Forum officially opened its doors Tuesday night with the first of a flurry of concerts leading up to the NBA season at the new home of the Milwaukee Bucks. The Killers, with supporting act Violent Femmes, a band with Milwaukee roots, christened the $524 million arena in front of a sellout crowd of 12,000 patrons. The Killers, from Las Vegas, are not on tour at the moment, but they grabbed the opportunity to open the building and requested the Femmes, whom they cite as an influence, as their opening act, according to local reports. Several hours before showtime, a few dozen concertgoers holding general admission floor tickets sat in lawn chairs along the arena’s north side. They got there early to get spots near the stage and for their trouble were soaked by a brief thunderstorm that swept through downtown Milwaukee. After the skies cleared, Fiserv Forum opened its doors with an all-digital ticketing platform. Ticketmaster is the arena’s ticketing provider and Fortress GB produced the self-scanning machines stationed at the entrances. Arena staffers were positioned at each device to help patrons scan bar codes on their mobile devices. As showtime neared, lines flowed smoothly and there did not appear to be any hiccups with the system. Officials are keeping a close eye on the technology’s introduction as patrons get accustomed to going paperless. 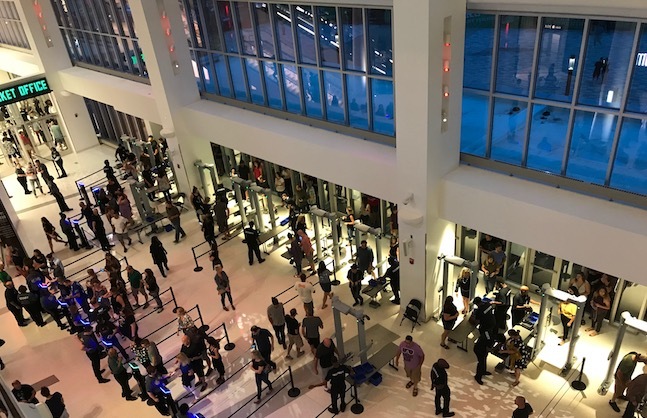 Jay Cooper, senior vice president and managing director of AEG Facilities Global Solutions, was among those observing the scanning process from the main concourse, one floor above the north entrance. AEG has a consulting agreement with the Bucks, and Cooper was in town to support Fiserv Forum staff at the opening event. He was joined by Danny Burns, Gary Wilmes and Eugene Holmes, all with Sprint Center in Kansas City, an AEG-managed arena. In addition, Marc Farha and Chris Miller with CAA Icon, the firm serving as owner's representative for the Bucks' project, were in attendance. Fiserv Forum stands out for its Panorama Club, a 10,820-square-foot lounge open to all ticketholders. Situated at catwalk level, one floor above the upper deck, the club’s finishes and amenities are on par with a premium seat product. The room’s capacity is about 400. A row of high-top chairs facing the seating bowl was filled during the opening act’s performance before the club was shut down for the headliner per The Killers’ request. The outdoor deck attached to the club, stretching 910 feet, was a popular destination for patrons. They took selfies and photos of the historic buildings in downtown Milwaukee and the Bucks’ entertainment district and other new developments taking shape across the street. Another popular destination for snapshots was the large curved LED screen in the atrium at event level. After getting their tickets scanned, several concertgoers stood in front of the screen displaying an image of the concert headliner. A few days before the show, Fiserv Forum used the same screen to show Aretha Franklin’s funeral. The impromptu event drew a few dozen attendees to watch the service free of charge and it gave Levy, the arena’s concessionaire, an opportunity to test the BMO Club kitchen and serve ice cream to those guests, general manager Raj Saha said. 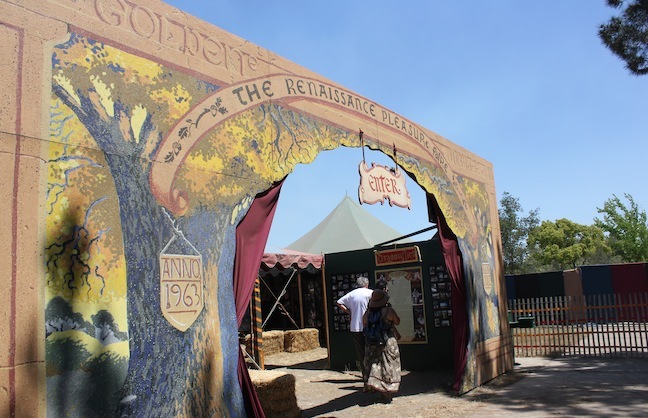 At the concert, a few operational issues arose that could be tweaked for coming events. Midway through the Femmes’ set, some pinch points formed on the main concourse between the Miller-branded bar and the Canal Street pizza stand. It’s a narrow space to begin with, and the lines to buy beer blurred into a small swarm, making it difficult to get past the crowd. Those folks represent the serious beer drinkers that didn’t mind missing part of the opener to ensure they had their adult beverages by the time The Killers came on stage, said John Steinmiller, the Bucks’ executive vice president of operations, in his 49th year with the team. Whether those pinch points become an issue during the Bucks’ season could depend on how well the team performs, Steinmiller said. In a building with open concourses, Fiserv Forum used its curtaining system to darken entry points to the seating bowl, which, combined with the arena’s subtle wayfinding program, made it difficult for some ticket holders to find the right path to their seats during the show. The small signs designating each section are positioned near the concession stands against the back wall, compared with signs placed above entrances to the bowl at most arenas. Looking ahead, Fiserv Forum officials have a half-dozen events to work the kinks out before Oct. 3, the Bucks’ first home preseason game against Chicago. Over the next month, Maroon 5, Justin Timberlake, comedians Kevin Hart and Jim Gaffigan, and a two-day Professional Bull Riders event are all booked at the 17,500-seat facility. The arena has 24 concerts confirmed over the first 10 months of operation, compared with less than half that number over the past year at BMO Harris Bradley Center, the Bucks’ old arena, Saha said. NextCongratulations 2018 VenuesNow Excellence in Concessions Award Winners! 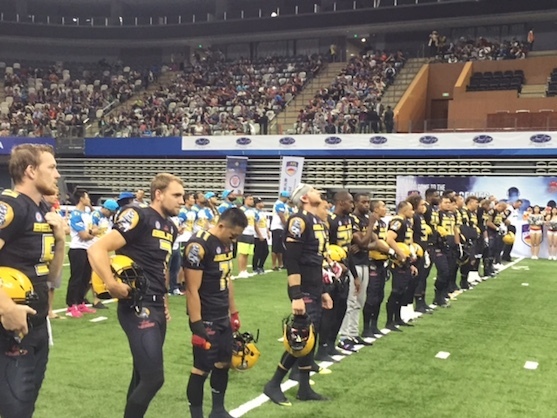 Charity A Big Part Of Titans Sponsorship For Louisiana-Pacific Corp.